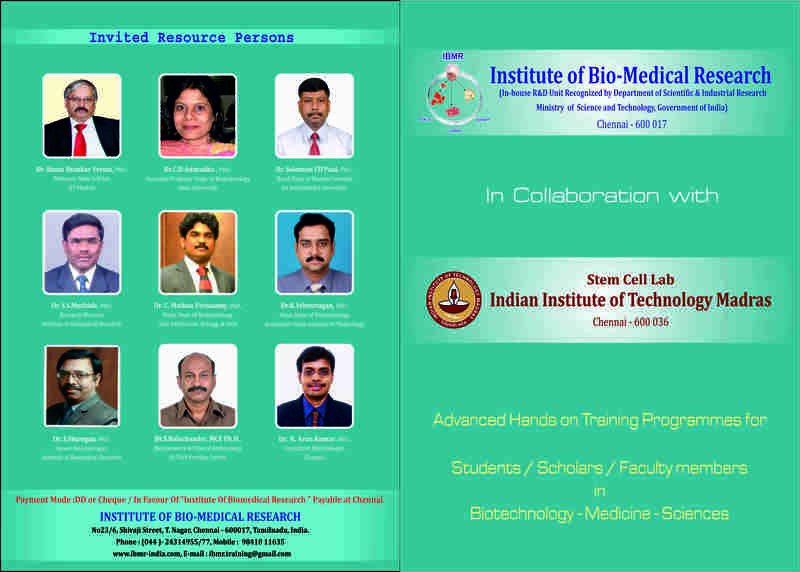 Institute of Bio-Medical Research (DSIR Recognized, Ministry of Science and Technology) in collaboration with IIT Madras (Stem Cell Lab) offers individualized, most advanced, job oriented and globally competitive training programmes for Students, Scholars and Faculty members in the fields of Biotechnology, Medicine and Life Sciences. 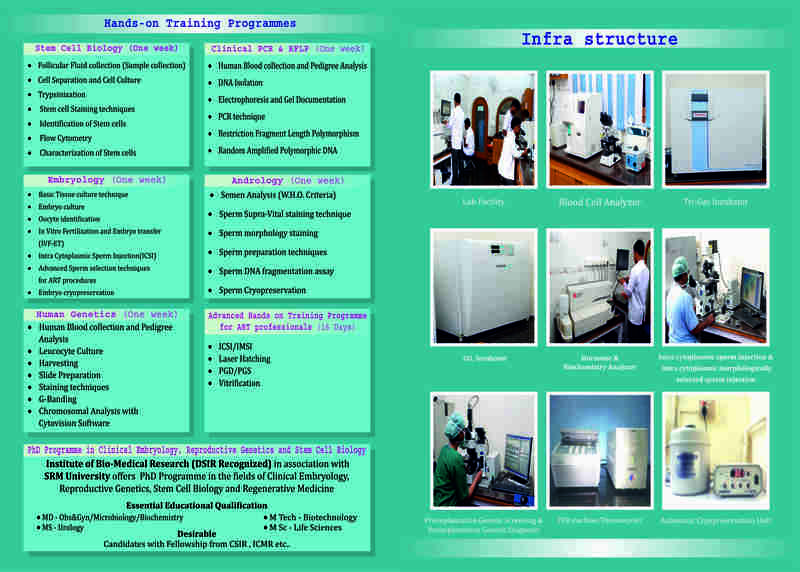 Kindly go through the brochure for more information. We have various modules and the fees differs for students and other faculties. So Please contact us through Email.